The Caballero Hidalgos and Caballero Villanos were the core of the Christian armies of Spain in the tenth through twelfth centuries. In fact, the prevalence of cavalry in Spanish armies meant that it did not become an exclusive role for the wealthy elite, and frontier landowners capable of affording a horse were expected to ride in war. Heavier cavalry was a bit lighter than in northern Europe, because the realities of frontier warfare on a variety of terrain demanded quick moving men and mounts. Spears were used overarm and downward, with the couched style introduced in the late eleventh century. Shields were generally round, and tasseled in imitation of Muslim Andalusian styles. 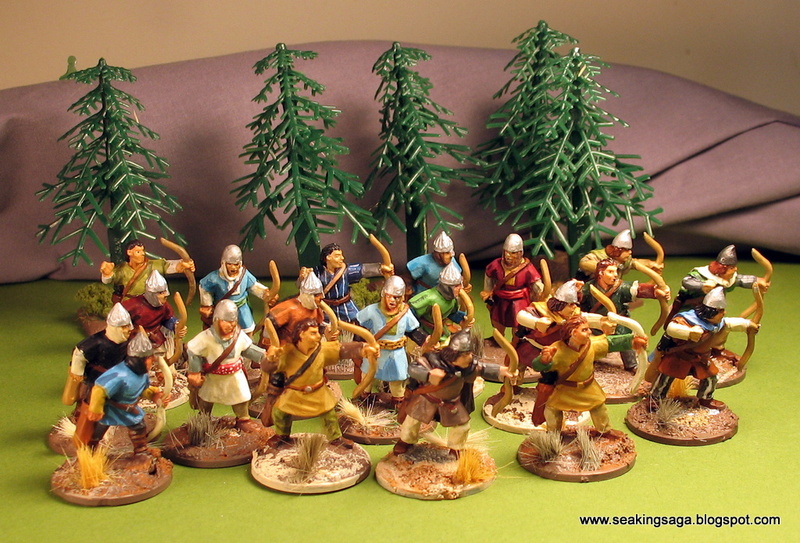 The two best sources for El Cid era miniatures are Crusader and Gripping Beast. Both are of fairly high quality and mix well together, although there are features inherent to each range. Crusader models tend to be a little bulkier and heftier than Gripping Beasts, which is not a criticism of either, but a point worth noting. The sculpting on both lines is of high quality, although on average, the Crusader tends to be sharper, especially on the faces. Gripping Beast earns points for variety. 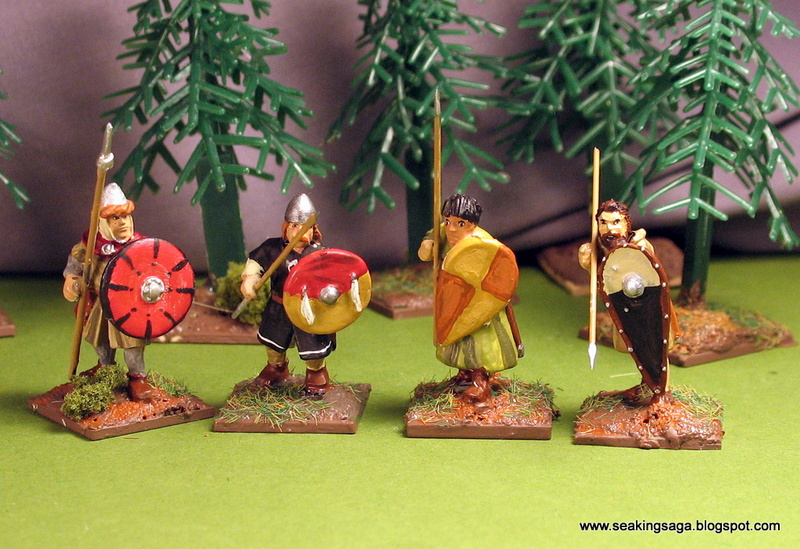 There is a "sameness" to many of the Crusader figures, even across several of their lines. Additionally, the Crusaders' only include round shields, even though historically, a mix of round and kite shields would characterize the period. 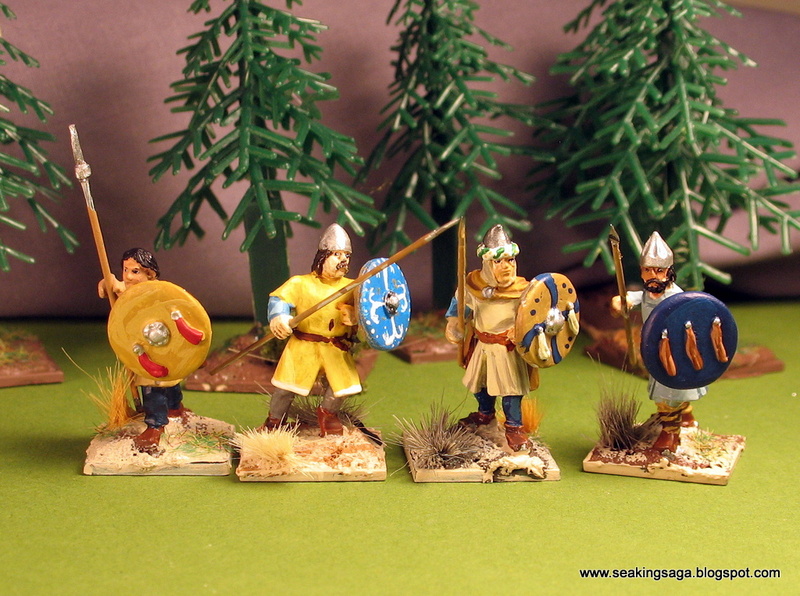 The models with green and yellow shields are in El Cid's party, and the red and yellow are primarily Castillians. 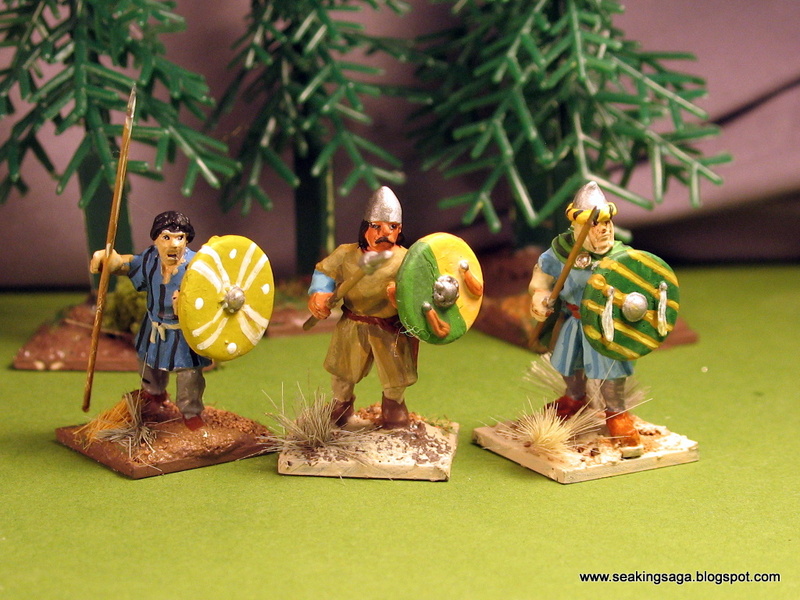 In plastic, there is no dedicated range, but Conquest Games' Normans, especially the unarmored figures, can make very good caballero villanos with the included round shields. La Spada del Cid a 1962 Spanish movie that is dubbed in German on YouTube. Good costuming and location shooting. Even though I could only understand one out of five words, it was good background noise for the painting table. 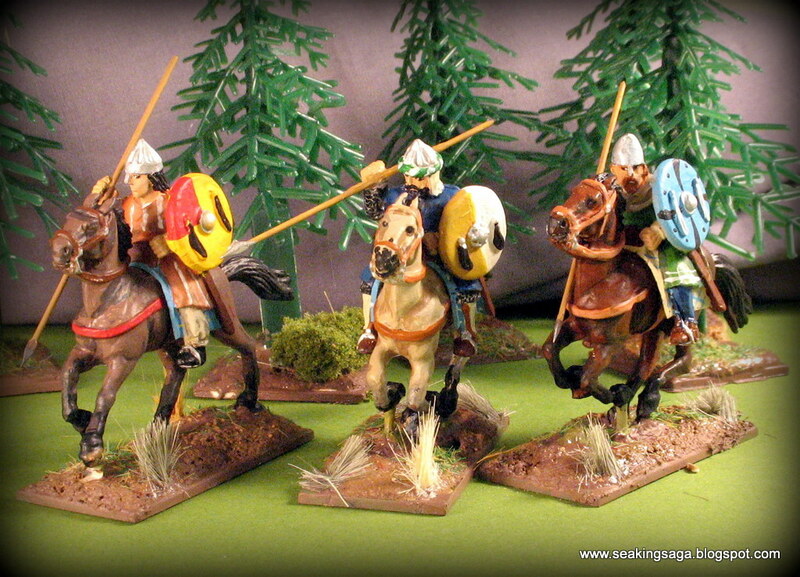 Of course, Heston's El Cid is hard to beat, but it's interesting to see other takes. 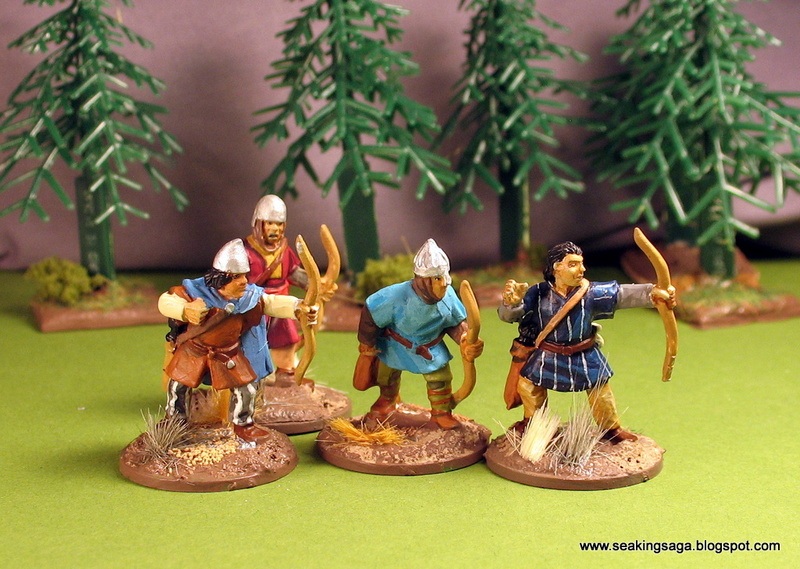 Next week, a look at leaders of the Spanish armies in the eleventh centuries, along with some homebrew Saga cards.